In one of her letters in this chapter, H.P.B. mentions “Lares and Penates”. In ancient Rome, these were deities who protected each family and each city. Count and Countess d’Adhemar both actively helped the theosophical movement. In 1890, the Countess d’Adhemar was the manager of the French magazine “Revue Théosophique”, which was edited by H.P.B. “HPB – The Extraordinary Life and Influence of Helena Blavatsky, Founder of the Modern Theosophical Movement”, by Sylvia Cranston, G.P. Putnam’s Sons, New York, 1994, 648 pp., p. 246. On Lady Caithness, “Collected Writings of H.P. Blavatsky”, TPH, volume VII, pp. 361-363. Also volume XV, p. 96, for references. “Collected Writings of H.P. Blavatsky”, TPH, volume XII, pp. 300. See volume XV, p. 8, for other references. 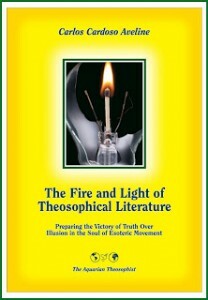 Countess d’Adhemar is also mentioned and quoted at “HPB – The Extraordinary Life and Influence of Helena Blavatsky, Founder of the Modern Theosophical Movement”, Sylvia Cranston, pp. 250. H.P.B. got her mail at Suez, and only then learned from the newspapers and her relations’ letters that she had been perfectly right. H.P.B. dispatched letters daily to Odessa, where at that time both her aunts and her sister lived, imploring them not to deprive her of a last meeting with them on this earth, with all the passion she always felt in regard to her family. It was like the affection of a child.